Grilling season is here! 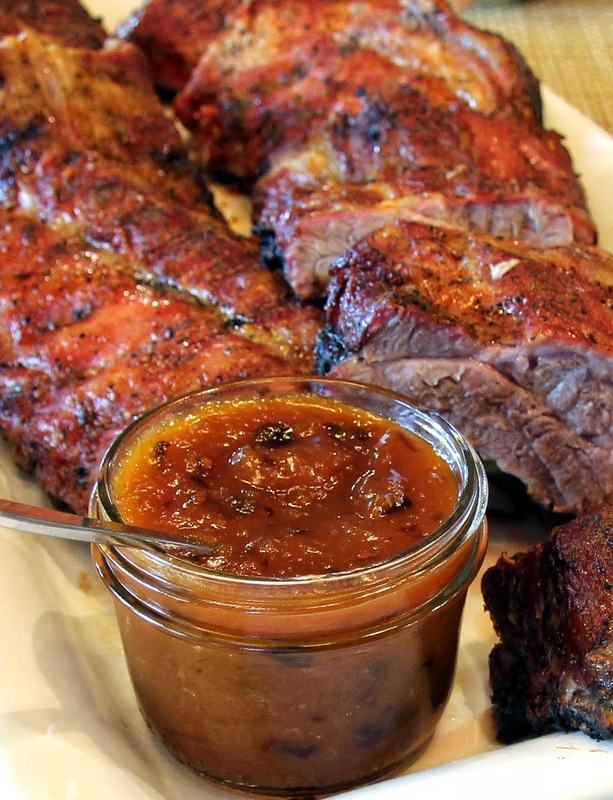 We kicked it off with ribs last weekend and I made this sauce which everyone deemed “blog-worthy” so here it is. My niece’s husband even said it was the “best bbq sauce” he’d ever had so I feel confident you will quite enjoy it as well. This is super simple to put together. I used apricot jam I canned last summer (it’s almost time to make more!) but store bought is perfectly fine. You should be able to find canned chipotle in adobo in your supermarket these days but, if you can’t, go to your local gourmet store and they will likely have it. 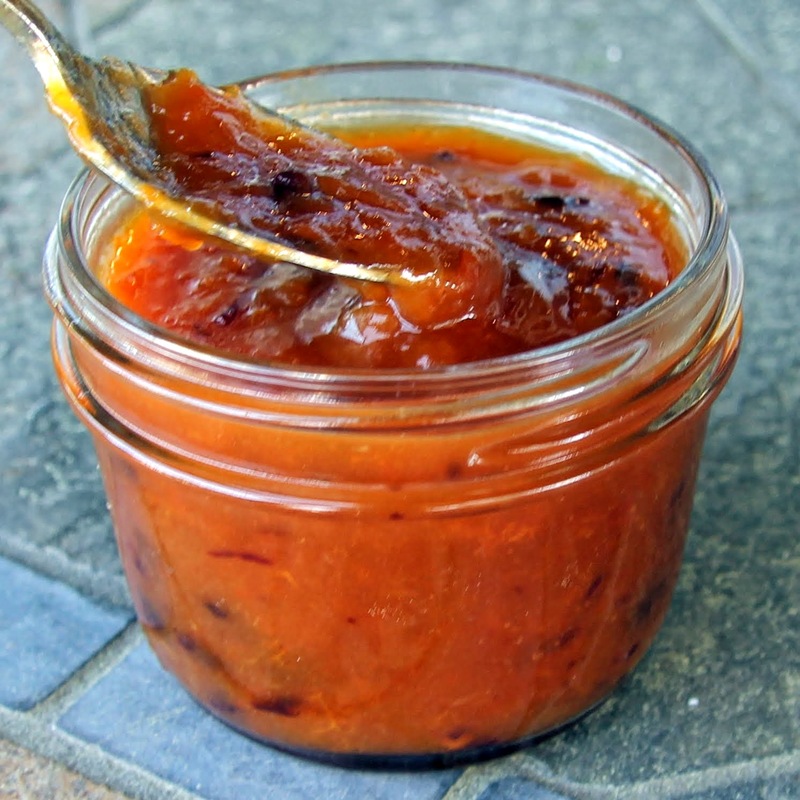 It has a wonderful smoky, spicy flavor that pairs perfectly with the apricot jam. You only need to use a small amount but the rest will keep in the refrigerator for at least a few weeks or you can freeze it. The ribs we made are pictured below. Of course, this sauce would work with any cut of pork and it would be great with chicken as well. Maybe a little heavy for most fish but I think a nice, thick halibut steak could handle it, I love anything fruity with halibut. 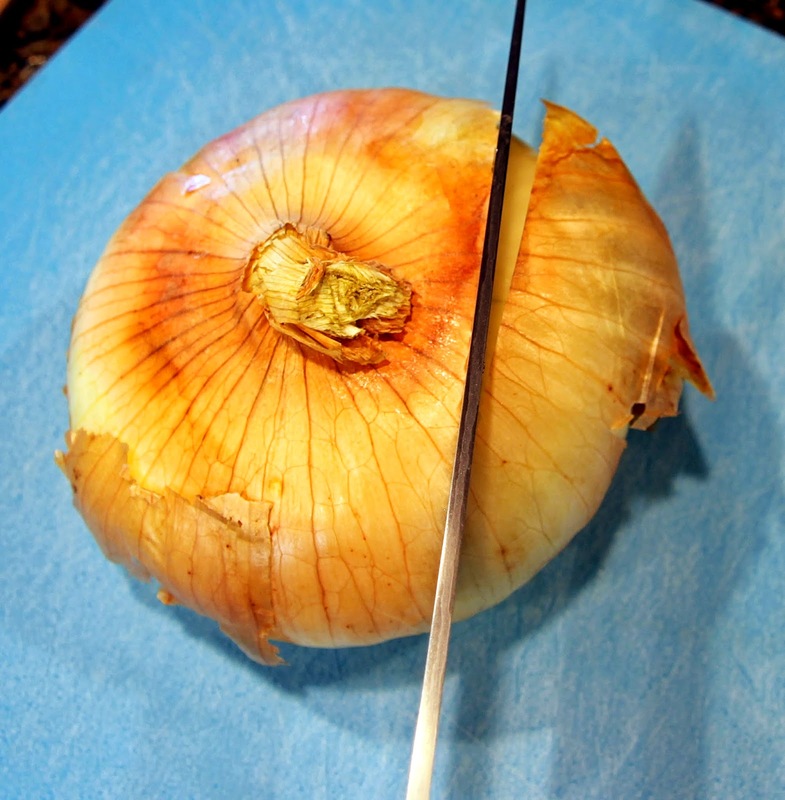 Slice a big enough chunk of onion to yield about 1/4 cup, eyeball it, it doesn’t have to be exact. In a medium saucepan, grate the garlic and the onion (I used a smaller microplane than the one shown, zester/grater size, for the garlic, finely chopped is good too). 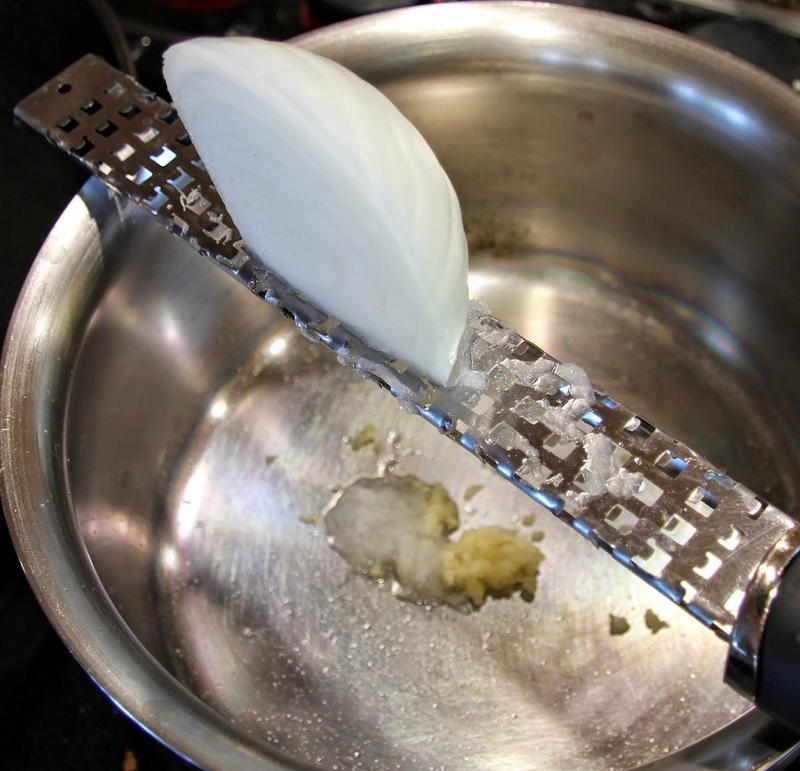 If you don’t have a course grater style microplane for the onion, a box grater will work, you really want the juices created from grating rather than chopping. 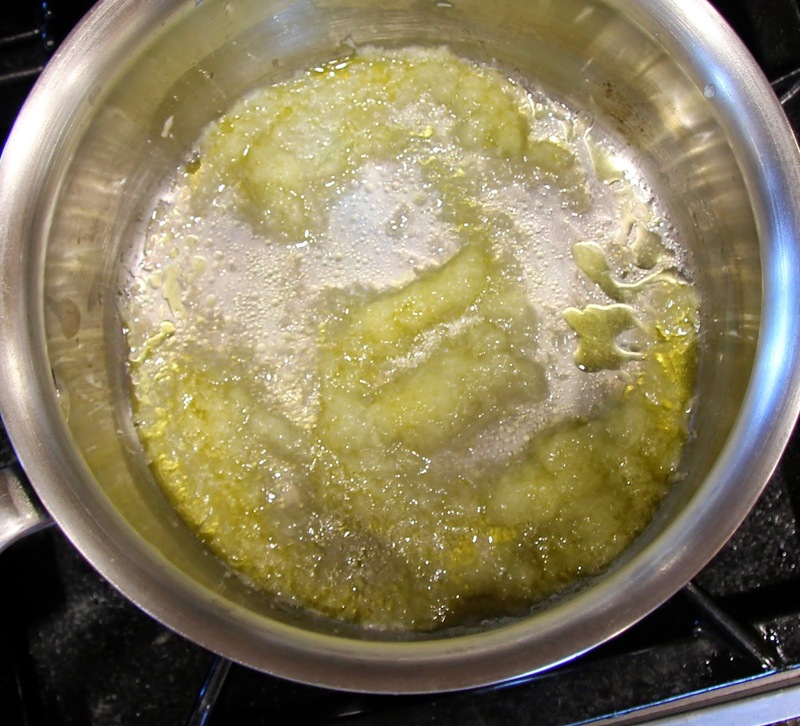 Add olive oil to the pan and cook over medium heat, stirring often until the onion and garlic have softened and the juices have evaporated, careful not to brown them much, about 5 minutes, maybe less. 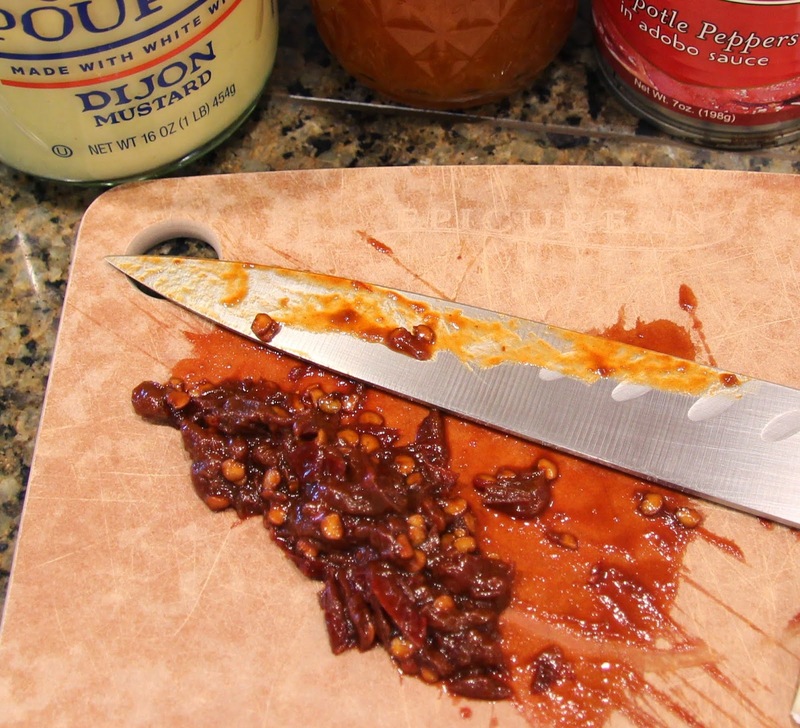 Meanwhile, take out one pepper from your little can of chipotle in adobo and chop it up. Careful, it’s spicy, wash your hands after. 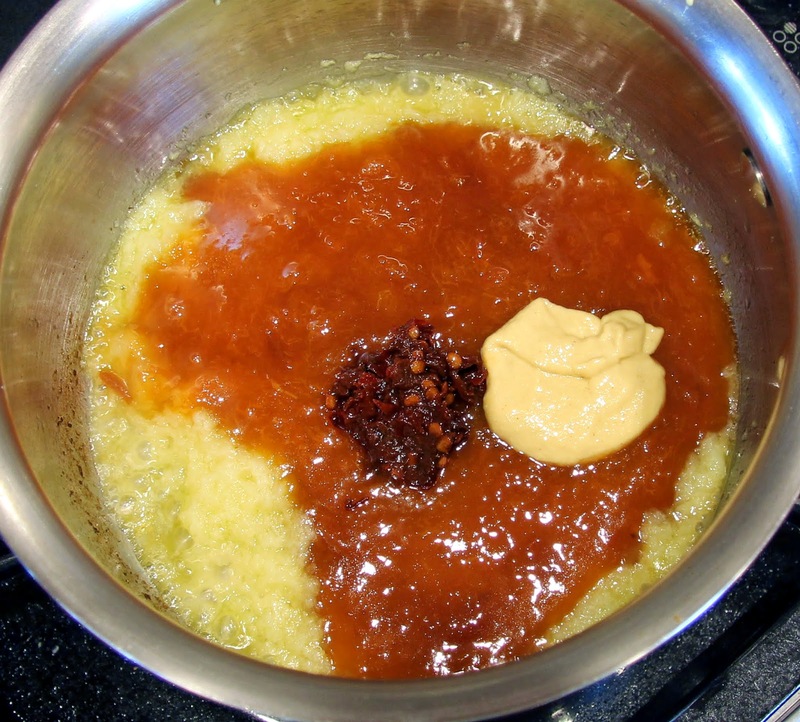 Add the chopped chipotle pepper, the apricot jam, the Dijon mustard and a pinch of salt to the onion and garlic. 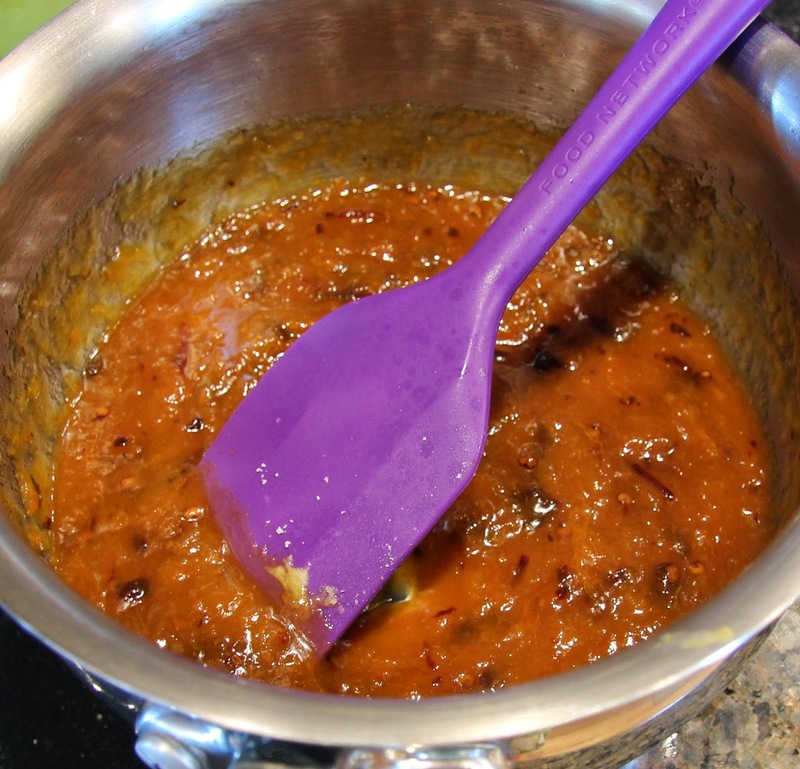 Stir and bring to a low simmer over medium heat. Allow it to cook at a simmer for just a couple minutes, stirring often. 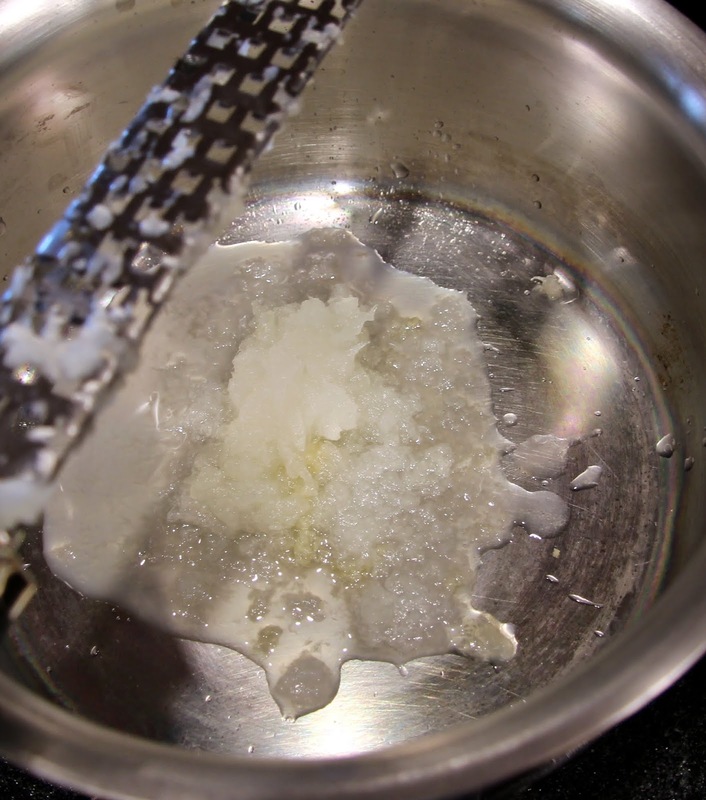 You do not want it to boil or cook too much because it will become too thick. 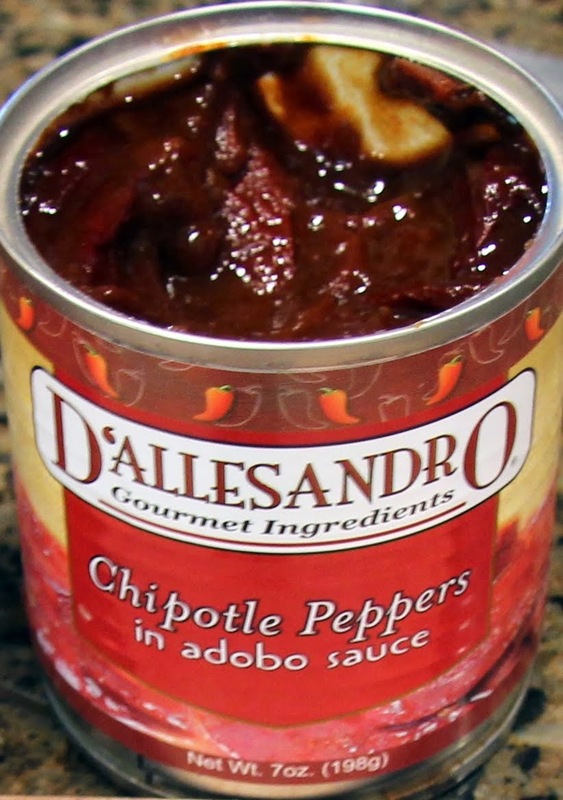 Be sure and taste the sauce and, if you want more heat, spoon in a bit more of the sauce from the can of chipotle in adobo. That should do the trick. You’re done. Transfer to a heatproof jar or bowl and serve warm or, if you’re not using it right away, allow it to cool a bit then refrigerate. This is one of my favorite Maya Angelou quotes. I think of it often as it is proven true over and over again. I am grateful for her insightful wisdom.